Welcome to our office. We pride ourselves on surpassing our patients' expectations with comprehensive eye exams, personalized service and outstanding quality. 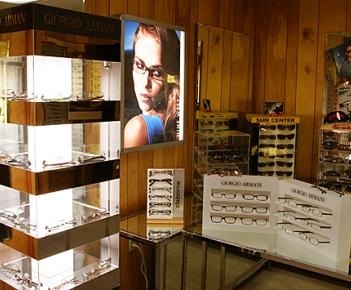 Wide selection of frames that range from top European designer names to quality house brands that will fit your budget. Specialize in fitting all types of contact lenses including disposables, toric, rigid gas permeable, bifocal contacts, and monovision. Maintaining healthy eyes requires regular vision and eye health examinations.